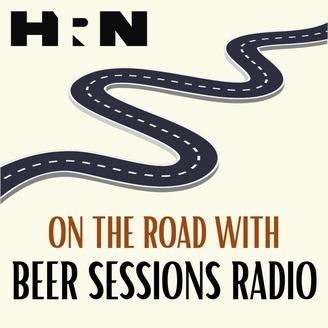 Beer Sessions Radio host Jimmy Carbone goes on the road in New York State to bring you stories of the best beer, cider, and spirits. In each episode, you will go behind the scenes to learn about the creative production process of craft beverages from the ground to the glass. 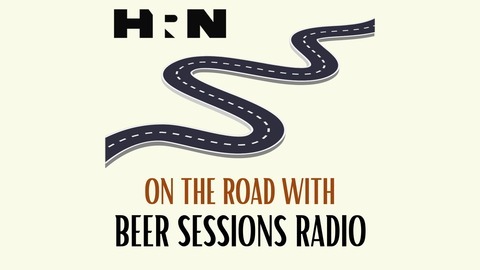 In the final episode of On the Road with Beer Sessions Radio Season One, host Jimmy Carbone travels to the Finger Lakes. He visits The Farmhouse Brewery in Owego, the first malting house in New York State in over a decade and one of only a handful also brews in-house. You’ll hear from a top grains farmer about the challenges he faces to produce and distribute unique, artisanal grains to brewers. You’ll also meet the experts who support him in his work. Up in Ovid, Jimmy visits Blackduck Cidery and meets the whole family behind some of the best cider in the state. Plus, meet the community behind New York cider at Finger Lakes Cider House. Marty and Natalie Mattrazzo are the visionaries behind The Farmhouse Brewery in Owego, NY. Their motto is “farm fresh from ground to glass." Their delicious brews are a combination of the freshest ingredients, and Marty’s refined palate creates art in every pint. Diligent small grains farmers from all over New York State grow their barley. Only the highest quality grain makes its way to their on-site malt house, where they malt each batch of barley using a time-tested artisanal process. Their hops are of the highest quality that they can source from seasoned hops growers with New York State. The New York hops industry is currently expanding to again become a major supplier of hops varieties to the entire Northeast United States. Located in Newfield, New York, just south of Ithaca, Oechsner Farms is a feast for the senses. Thor Oechsner, owner and multi-talented, is the grandson of a German baker. As a teenager he was able to convince his parents to allow him to turn their suburban yard into his first cornfield. Oechsner graduated with a Bachelor’s of Science degree from Cornell and by 1991 had started a three-acre vegetable farm while also running a Volkswagen and Audi repair business. Oechsner now farms approximately 600 acres of certified organic grains on rented land throughout the Finger Lakes region. In addition, as part owner of Wide Awake Bakery, Oechsner sees a similar benefit to the bakery business as he does the milling operation. He is more interested in the role that the bakery serves as a tool for marketing for the unique and heritage grain varieties that he produces. We visited Blackduck Cidery in the town of Ovid, NY in the Finger Lakes region. It’s a family run orchard that produces cider, Perry, and vinegar in small batches, using ambient yeast fermentation. John Reynolds and Shannon O’Connor run the operation of the cidery along with their two beautiful redheaded daughters, Idunn and Pippin. They have been growing fruit in the Finger Lakes region of New York for well over a decade. They sell fresh fruit using organic standards through farmer’s markets, restaurants, natural groceries and their farm stand. John is expert in his knowledge about orchards, apples, fruits and anything cider-related. A former student of Cornell University and later employed as a field technician, John actively supports professors in their research of orchards, harvest and post-harvest work. Shannon is more focused on the smooth running and operations of the business, along with the grunt work in the field, while juggling being a mother of two. In her “free” time she also is the Director of the Edith B. Ford library in Ovid, NY. Idunn, the elder daughter, is the master fruit tester and critic. Pippin is the youngest and newest member of the clan; she is just very cute and very skilled at flower picking. The Finger Lakes Cider House at Good Life Farm in Interlaken, NY is a certified organic farm and a full diet CSA. The Finger Lakes Cider house is a collaborative multi-cidery tasting room. Melissa Madden and Garrett Miller started the operation in 2008 after purchasing 69 acres of land, mostly growing corn, wheat and soy. Since them it has transformed into a diverse ecological farm, they have planted bushes and trees and bought turkeys, geese, beef cows, and draft horses. They produce their Good Life Cider, a distinctive American style and creatively blended with international influences. Their range is based on traditional bittersweet apples and sharp, acidic heirloom fruits. At the Cider House, they feature their own cider as well as amazing ciders from other cidery friends. Each of these dedicated grower-producers live and work in the Finger Lakes region, and their ciders are true Finger Lakes originals. Episode 2: Edge of the Wild!